Homecoming is a week of events leading up to the football game for the return of alumni, crowning of the king and queen and induction of past athletes into William Jewell College’s Athletic Hall of Fame. This year’s Homecoming week kicks of Saturday Sept. 26 and runs through Saturday Oct. 3. Six events will be held during the week. 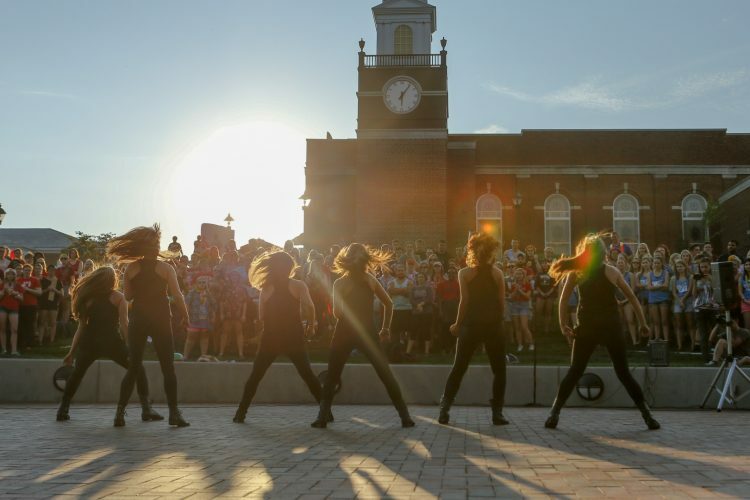 Each year, the Homecoming Committee puts Greek chapters into pairs to compete against each other in the weeklong battle for the coveted spirit stick. This year’s teams are as follows: Phi Gamma Delta and Zeta Tau Alpha, Lambda Chi Alpha and Delta Zeta, and Kappa Alpha and Alpha Delta Pi. Flying solo this year are the women of Alpha Gamma Delta, the Independent Student Association and the First-Years. Last year’s winners, Alpha Gamma Delta and Phi Gamma Delta, will be competing head to head to maintain the crown. The theme, decided by the Homecoming Committee, is “Jewell Breaks the Box Office,” so student groups have their focus on one thing: movies. “The broad theme should allow for each group to really show their personality and be creative,” said Amber Krigbaum, junior and Homecoming Co-Director . 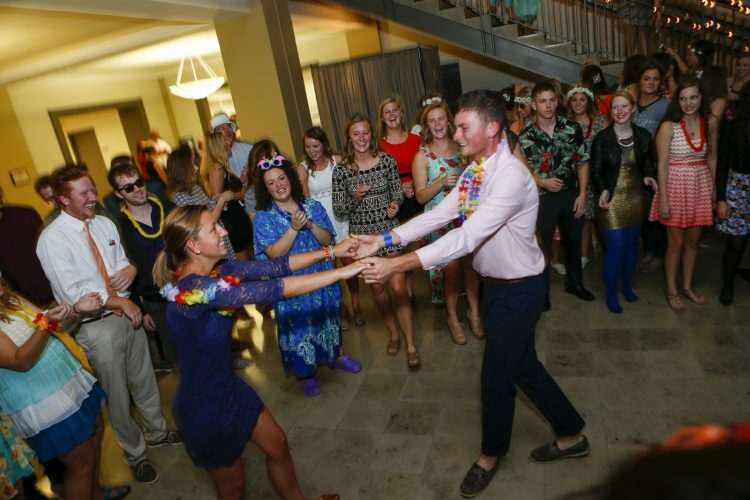 From first-years to seniors, students this year hold high expectations for Homecoming. For the first-years, this will be one of their first all campus events. “My expectations for Homecoming are for everyone to come together as a first-year class and cheer on each other and the Cardinals as a community event. I hope that it brings everyone closer together,” said Jacqueline Parson, first-year Chair. The Homecoming Committee made some changes to the schedule this year and hope to see success. “We hope that the new nightly events draw more interest and more participation,” said Krigbaum. Tomorrow, Saturday Sept. 26, begins the week with Serve and Celebrate. This event is one of Jewell’s unique traditions. Students from all parts of campus sign up to attend different service projects throughout the Liberty and Kansas City area. About 200 students will be volunteering at 18 different organizations. No activities are planned for Sunday. Monday night will be the Mabee Games. 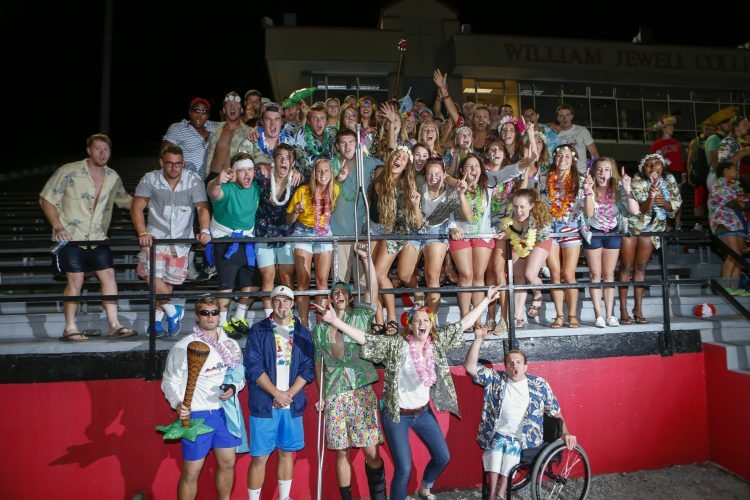 Students gather in the stands of Greene Stadium as teams compete in events such as tug-of-war, egg toss, pyramid building, food relays and a slip-n-slide race. “My favorite event is the Mabee games because it gives all the students an opportunity to compete against each other in a friendly environment, while also showing school spirit. This year I’m looking forward to participating in the egg toss,” said Carter Quirk, junior. Tuesday night will be the Premier Dance Party. Small competitions will include Best Celebrity Look Alike, Best Movie Themed Costume, Best Dressed Red Carpet Style and a Dance-Off. Other prizes will be up for raffle throughout the night. Wednesday morning during Jewell time, teams will gather for a picture on the quad. A change from previous years, Chapel attendance will no longer be counted towards participation points. “The committee felt it was better to have a quick, small event that did not have any religious affiliation though we encourage the participants to still go [to Chapel],” said Krigbaum. Thursday is another unique Jewell tradition: Campus Sing. 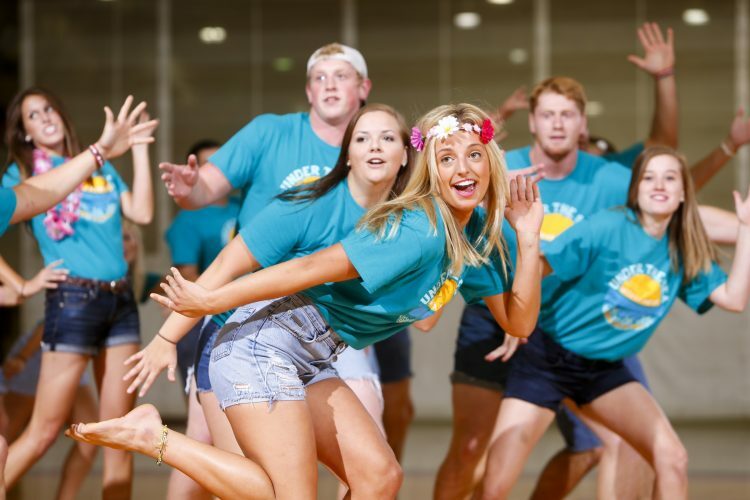 The student teams rewrite the lyrics of popular songs, add in their own choreography and put on a cappella performances in the Mabee Center for the other teams. “I’m most excited for Campus Sing because it seems like a really cool way to express creativity, and who doesn’t love singing and dancing?” said Parson. The week’s events will conclude Friday with a pep rally to pump up school spirit for the football game, which will be Saturday, Oct. 3 at 1 PM. At the football game homecoming royalty will be crowned and the group winner of the week will be announced. This year’s nominations for king are Tino Martin, Brodi Sabiston, Michael Rawat and Austin Doss. The ladies up for queen are Alexandrea Dressman, Hannah Bruins, Zinka Duric, Simone Stewart and Jessie Grosshart.